You can even do it quicker than his partner can swim 100m. Ian Thorpe wants you to know that enrolling to vote in the upcoming postal plebiscite on marriage equality takes no time at all. In fact, you can do it faster than his partner Ryan Channing can swim 100 metres (which is less than a minute). As the new campaign ambassador for The Equality Campaign, Thorpe urges Australians to make sure their say on the matter is heard by enrolling to vote before midnight on Thursday August 24. "If you support marriage equality you need to enrol to vote or update your details," Thorpe said in the video, before challenging Channing to try and swim the distance in the time it takes to enrol with the Australian Electoral Commission (AEC). Given the enrolment process is as easy as confirming the details of your name, place of residence and an AEC verification code, it won't come as a surprise to know that Channing lost the challenge. But for him, there's more on the line than that. 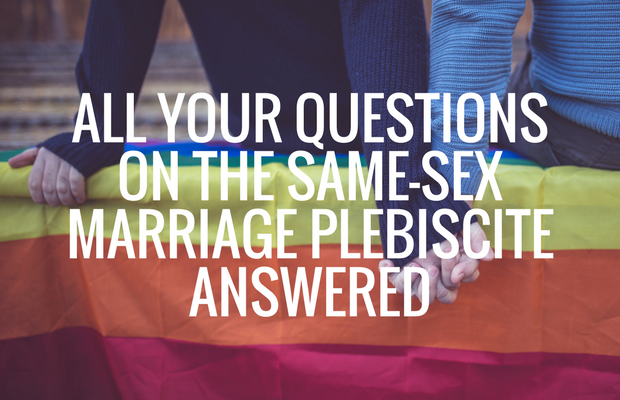 "Every Australian should have the right to take the plunge with the person they love," he said. Thorpe, Australia's most successful Olympian, first opened up about his sexuality in 2014 and has spoken about his journey coming out to family and friends. While postal plebiscite voting forms will start being sent out on September 12, the deadline to ensure you're enrolled is much earlier. If you want you ensure your vote will count, Thursday, August 24 is the cut-off date by which you need to have updated your details. After September 12, you will have several weeks to return the form to the ABS, with the final cut-off being 6pm on November 7. The form will ask just a single question, and will include a return paid envelope and instructions on how to complete it. So all you have to do is fill it out and post it back. All the responses will be anonymous and the ballots will be destroyed within 60 days of the survey results being published on November 15.